Are Gimbals The New Tripods? The new must have kit. Tim Nicholls October 12, 2017 October 12, 2017 Comments Off on Are Gimbals The New Tripods? The new must have kit. This article about gimbals in filmmaking originally written by Stuart Addison, appears on Cinema5D.com. I happen to think it’s a really great post, so I’ve reposted it here. Many filmmakers can point to the tripod as the tool that set them on the path to serious filmmaking. Regardless of camera or lens or codec, a properly-used, good-quality fluid head and legs can be the defining line between a professional-looking piece and an amateur one. Once filmmakers learn this, many of us never leave home without one. In 2017 though, the tripod isn’t alone on this pedestal anymore (nice pun). Just as tripod affordability made unintentionally shaky video unacceptable, increasing user-friendliness and expansion of gimbals into most budget sizes has made smooth camera movement a necessary offering for any production. How the gimbal got to such a ubiquitous place, just as the positive and negative consequences of it, cannot be ignored. The brushless 3-axis gimbals we know today are a natural extension of the Steadicam, which is itself a relatively new addition to the filmmaking landscape. American cinematographer Garrett Brown first came up with the idea of the Steadicam in the early 1970’s, but it wasn’t until the end of that decade that its implementation would be fully realized. Films like Bound for Glory, Rocky and The Shining cemented the Steadicam’s place in cinema history, untethering cameras from the tripods, tracks, or cranes they had been previously bound to. Most importantly, the Steadicam allowed filmmakers to begin thinking of camera movement in a different way. But before moving to motorized gimbals, let’s rewind a little bit. The concept of a gimbal isn’t new at all. In fact, it’s over a thousand years old. Ancient Greeks conceived it for pottery while Chinese inventors came up with a similar design for burning incense. 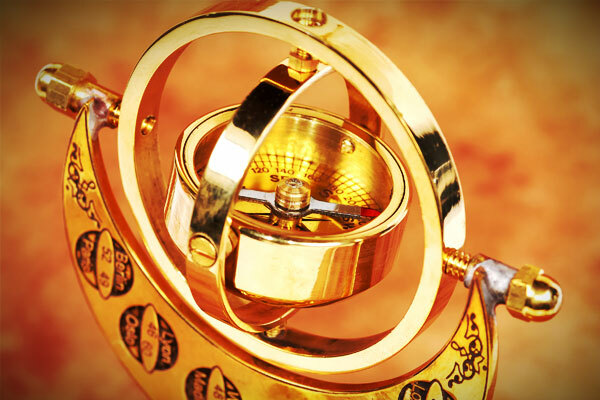 Since then, gimbals have been used throughout history on everything from early navigation systems to rocket engines. I don’t know how much this information will impact your filmmaking life, but it’s interesting to think about. 2013 is when everything changed. The MoVi M5 and M10 made brushless motorized gimbals a reality and were announced to major hype. For the first time, filmmakers were given access to beautiful Steadicam shots at a reduced price and with less required expertise, but MoVi was only the beginning. Rival companies began offering even less expensive gimbals in the MoVi mold. Most notably, DJI released the Ronin line, which has become the other dominant force in the gimbal industry. All of these changes, of course, are being propelled by the emergence of drones, which also use gimbal technology for stabilization. 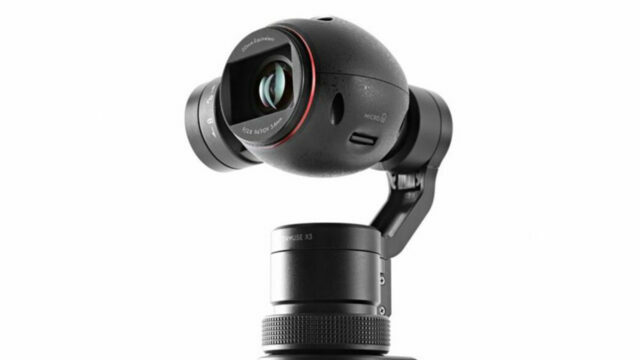 Within two years of the MoVi announcement, filmmakers were offered truly inexpensive gimbal options with the DJI Osmo. 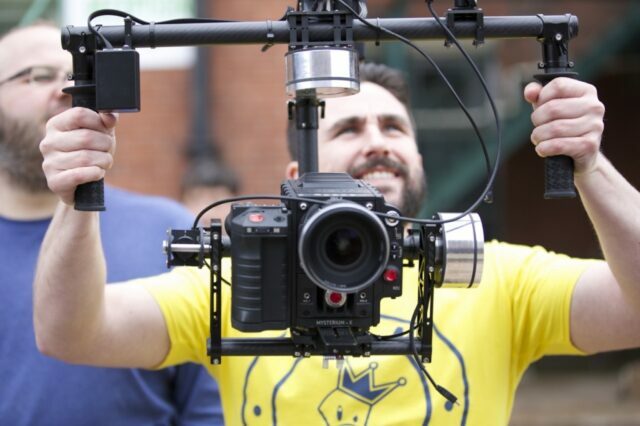 The Gimbal shot was now available to filmmakers of every budget, making it hard to avoid seeing video content that didn’t employ a gimbal in some way. 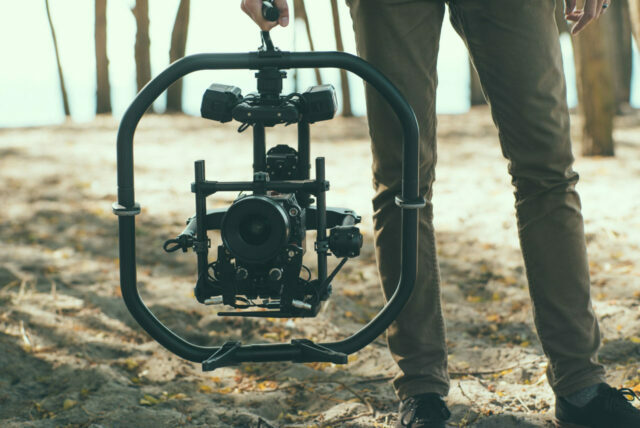 From commercials to YouTube videos, the saturation of gimbals in the filmmaking market has put a premium on smooth camera movement. Hell, even vloggers are taking advantage of being able to finally be able to walk, talk and film with ease now. Note: As the owner of a rental house, I’ve seen skyrocketing gimbal use firsthand. The freedom gimbals have given filmmakers in just a few short years is amazing. There is, however, a learning curve. Yes, gimbals are easier to operate than a Steadicam, but balancing a MoVi or a Ronin takes time and practice. I’ve had many a frustrated customer return a ‘faulty’ Ronin on the basis that the gimbal wouldn’t work properly, when upon inspection, it simply wasn’t balanced correctly. Know your gear, filmmakers! The gimbals have arrived, but now comes the real question. Gimbal shots are all the rage. Why wouldn’t they be? Anyone paying for video work can see what smooth movement can bring to a project. This isn’t nuanced like color science – a good gimbal shot can be flashy in a way that makes someone pause from their social media scrolling. In today’s video world, that’s worth real money. On the filmmaker’s end, gimbals can be a less-expensive way to add real production value to your limited budget. The benefits are all around. When I say that gimbals are the new tripod, I don’t mean that they’re replacing tripods. Like tripods, gimbals are becoming a mandatory item for filmmakers to be familiar with and know how to use. Also like tripods, they offer a fairly easy learning curve and don’t require the kind of specialization their Steadicam counterparts did. Finally, and most importantly, both gimbals and tripods come at such a wide price range that filmmakers can evolve with them. Much like a filmmaker who starts with a $200 tripod to learn framing and basic camera movement and then advances to a $12,000 tripod for the smoothest, most perfectly-timed shots, a filmmaker beginning on an Osmo today could be ready for a MoVi in a year or so. It’s also worth mentioning that, again like tripods, just because we can gimbal the hell out of a shoot doesn’t mean we should. The market is already saturated with the gimbal look, meaning that filmmakers still have to be good at other things. Camera motion for camera motion’s sake looks silly, and there’s an abundance of it out there, similar to the shallow depth of field craze when the Canon 5D MKII video mode arrived where everything was shot positively wide open. You still have to be a well-rounded filmmaker to make gimbals work for you. If you have the kind of awareness and restraint to know when motion is needed and when it isn’t, gimbals are a godsend. 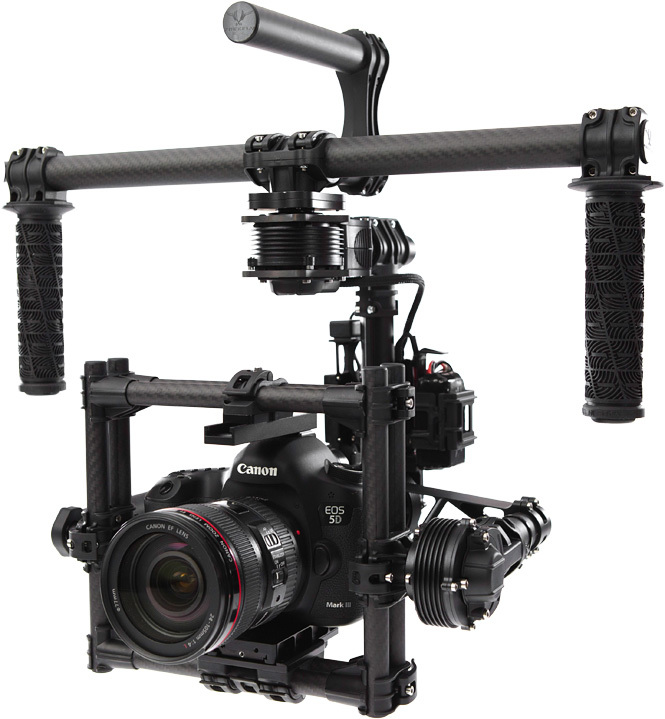 Are gimbals necessary for every shoot? Absolutely not. Neither are tripods, technically, but I’m sure you’ve kept one with you even when you didn’t think you’d need it. 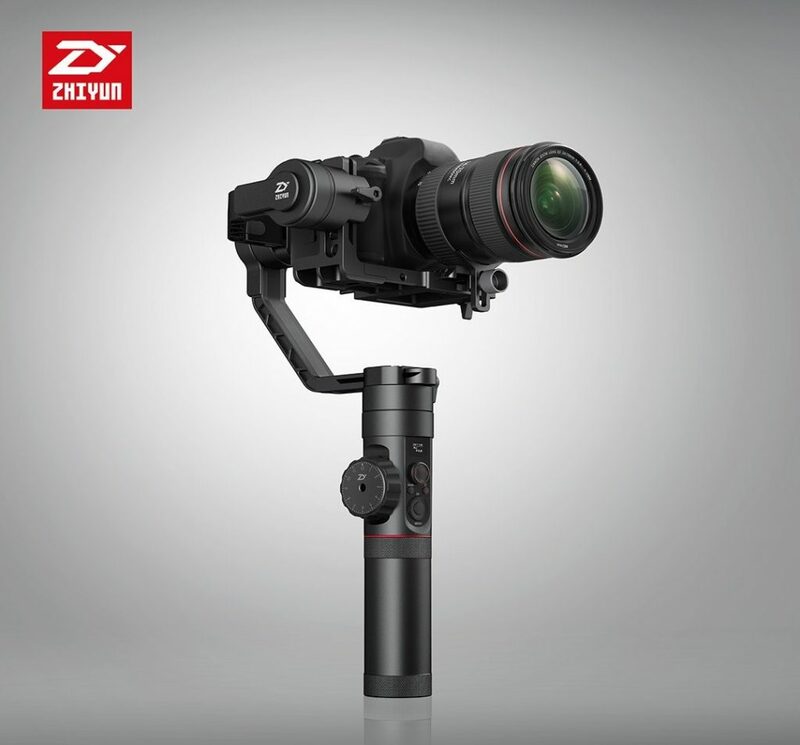 For filmmakers trying to capture attention in the scrolling world of social media video, or those trying to attract bigger clients with something impressive, or for filmmakers trying to emulate Scorsese’s infamous Copacabana Steadicam tracking shot in Goodfellas, a gimbal is not only a necessary piece of gear to have access to, but a necessary one to master as well. Keep it next to your tripod. Conversely, maybe I could argue that gimbals have become a style – and styles fade, don’t they? 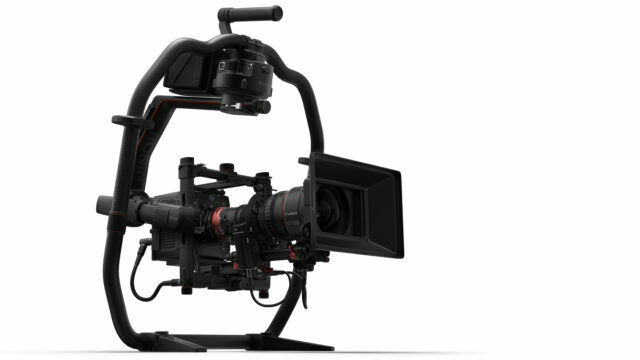 Yes, gimbals offer affordable solutions to the type of camera movements filmmakers have wanted to make for a century. Those movements, however, aren’t often as nuanced as the movements you make on a tripod or slider. Gimbal smoothness is instantly identifiable in the finished product. A gimbal shot almost always makes the camera appear to float, relies on a wide-angle lens to make focusing easier and often features low or high angles that gimbals have unique access to. In other words, gimbal shots have a look. If that look doesn’t change, isn’t refined or doesn’t develop over time, the gimbal shot could face the same fate as the 70’s zoom, rarely seen today due to its dated affect. If that’s the case, then gimbals aren’t necessary, they are a luxury, one we perhaps shouldn’t be overly excited to embrace. Ultimately, though, I don’t honestly think this is the case. Gimbals can be used subtly, and their usefulness as a potential time-saver means filmmakers will find new ways to keep them relevant. The Steadicam certainly didn’t peak in 1983, and I doubt gimbals will peak now – on the contrary, the technology is still only developing, something that is plain to see with the likes of the Ronin 2 and MōVI Pro, game changers that are really pushing the technological boundaries.